Pre-heat oven to 190 °C / 375°F. In mixer cream butter, brown sugar, and white sugar. In a bowl combine: flour, baking soda, and salt. Gradually add to wet mixture. 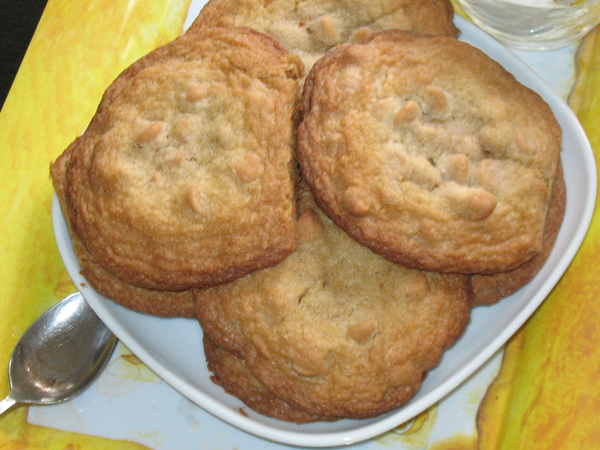 Add peanut butter chips, and drop onto cookie tray. Cool cookies in pan for 2 min, before transferring directly to wire rack.